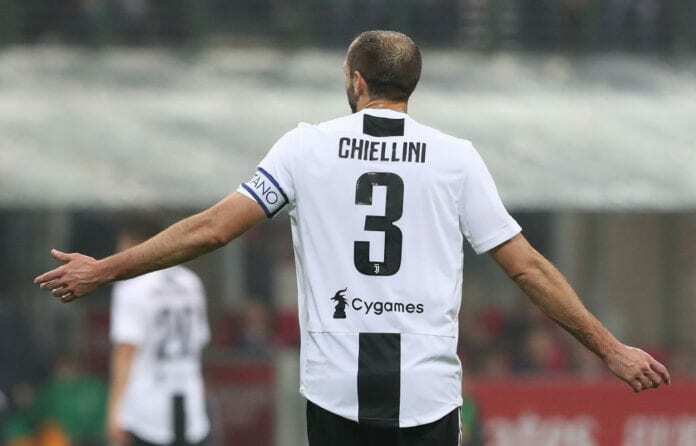 Juventus boss Massimiliano Allegri announced that Giorgio Chiellini will be sidelined for the next two weeks. 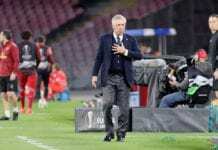 The Italian centre-back was forced to withdraw in the 27th-minute of Juventus’ 3-0 Coppa Italia quarter-final defeat to Atlanta on Wednesday night. Although Allegri did announce after the game that he didn’t expect it to be too much of a serious issue and added that they have Martin Caceres as cover anyway. And now Allegri has confirmed that the Juventus captain will likely be facing the next “10 to 15 days” out of action ahead of their Serie A match against Parma on Saturday in Turin. “The lads have trained well,” Allegri said via FourFourTwo. “Chiellini’s injury is not serious – he should be back in 10 to 15 days. 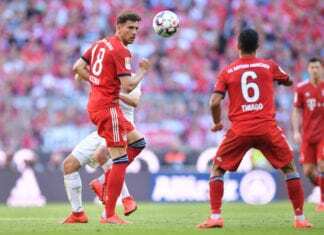 “[Mario] Mandzukic will return up front and I have to decide who else will play alongside him and [Cristiano] Ronaldo – it will be either [Paulo] Dybala, [Federico] Bernardeschi or Douglas Costa. “Caceres will partner [Daniele] Rugani at centre-back, [Mattia] Perin will start in goal and [Leonardo] Spinazzola or Alex Sandro will play at left-back – Spinazzola has a good chance of starting. [Miralem] Pjanic is ready in midfield. Meanwhile, Allegri is full of respect for the way Saturday’s opponents Parma have done in their first season back in the Serie A. Currently, Roberto D’Aversa’s side sit in a respectable 12th-place in the standings and 14 points above the drop zone. “I have to congratulate Parma,” added Allegri. “They won three of their last away games and are doing a great championship. They have technical and fast players, especially up front”. The Juventus and Parma game will take place at the Allianz Stadium in Turin with kick-off set for 8:30 PM (CET).